‘Resilience’ means being able to bounce back from tough times. Parents and grandparents play a key role in this aspect of a child’s development. 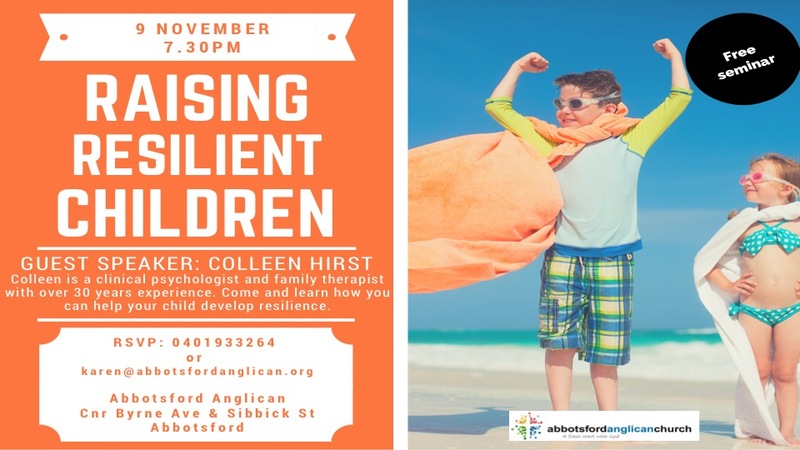 We would like to invite you to bring family and friends along to this FREE seminar by guest speaker Colleen Hirst. Colleen is a clinical psychologist and family therapist with over 30 years’ experience.